You can work with The Empowered Educator to highlight your brand and reach thousands of committed and engaged parents and early childhood educators! The Empowered Educator is a parenting and educational blog written by Aussie Mum of 3 and early childhood teacher Jodie Clarke. 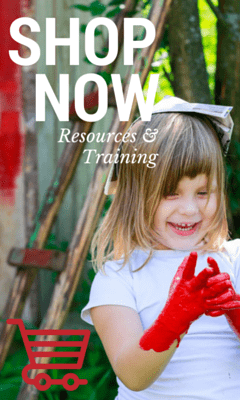 It has been created to share inspiration and ideas for time poor parents and educators who want to offer a range of play based learning opportunities for the young children in their care. It is also used as a resource base for educational articles and information relating to the early childhood teaching field. The main readership of The Empowered Educator features homeschooling parents, grandparents and carers with young children and also educators and early childhood teachers with varying levels of experience and roles within in the profession – including Family Day Care, centre based care, outside school hours care, occasional care, nannies and more. Please contact us for relevant site statistics and more detailed audience information. In the meantime you can check out our facebook page and pinterest account to get an idea of some of our followers. Due to the educational nature of this blog and the solid professional reputation of it’s creator Jodie Clarke, opportunities for your business or product to appear on The Empowered Educator are not frequent and must be a good fit with the content and it’s readers. The Empowered Educator can represent and share your brand with a loyal and engaged audience! The Empowered Educator now offers limited side bar ads for products and services that are a good fit for the audience. An affordable option for small business owners, sidebar ads are available for purchase via paypal, credit card or direct bank deposit. Your brand is promoted professionally and displayed prominently to readers, with all ads being placed beside navigational aids or rich content, right where they should be for maximum conversion. Advertisers will be limited to businesses offering products or services relevant to children, EC educators and/or families and all ads are subject to approval. If you are interested in a side bar ad please contact Jodie using the email address [email protected] with clear information about your product, what sort of advertising you are after and for how long, or you can request a media kit. Since this is a personal and educational blog I do not accept guest posts from brands or companies. I occasionally run guest posts from other bloggers or writers, and will put out a call on my blog or facebook page when these opportunities arise – please do not email asking to guest post. All links that have been paid for, by money, product, or trade, will be nofollow. The Empowered Educator will only promote or review products/services that I feel fit with my blog’s style and audience. 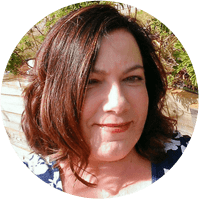 The Empowered Educator is a personal and educational blog; I don’t write about or recommend things I haven’t personally experienced or that I feel wouldn’t be useful to educators and teachers . All review posts must include a product for me to try. All review items must be shipped to me free of charge and are not returnable unless special arrangements have been made prior to the item being sent. Sending me an item to review does not guarantee it will feature on my blog. If you would like to confirm a review/giveaway post or be featured in your own post please contact me for my sponsored post guidelines and costs. Give Aways and Competitions will be conducted within legal terms and guidelines and prizes will be shipped directly to the winners. The Empowered Educator may use information or a press release provided by a client but The Empowered Educator blog articles are always written in my own voice. I always offer my honest opinion – good, bad or indifferent, but will give clients a chance to work through any major problems or concerns before I publish. Clients may make factual changes to a blog post but the final say on tone, wording and content remains with the author. No discriminatory or offensive ads will be accepted. Visit Jo[email protected]'s profile on Pinterest.